Walker Hill, “Old Block Vines” is our limited edition on premise only Pinot Noir. Walker Hill, “Old Block Vines” Pinot Noir comes from a select block of vines located on the lower end slope of the meandering topography of the vineyard hence yielding more “natural” irrigation from Oregon’s famous rainy climate. The designation “Old Block Vines” ensures the consistency and age one expects from such a wonderful varietal like Pinot Noir year-over-year. The “Old Block Vines” Pinot Noir can be enjoyed at select restaurants around the country or purchased exclusively at Capers Marketplace located at the Portland Airport. Walker Hill, “Hannah-Grace Collection” is our limited edition off premise Pinot Noir. 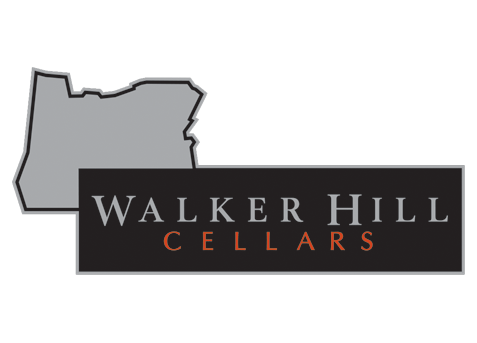 Walker Hill, “Hannah-Grace Collection” combines several individually selected barrels of 100% Oregon Pinot Noir building a well structured and fantastic Pinot Noir drinking experience. Walker Hill, “Hannah-Grace Collection” is limited to less than 1000 cases annually. Because of the limited availability of Walker Hill, “Hannah-Grace Collection” and our desire to ensure consistency, “Hannah-Grace Collection” is available in minimum six bottle increments. Walker Hill, “Jean” is our “single barrel” limited edition Pinot Noir. “Jean” is aged in French Oak for a minimum of two years with an aromatic bouquet that manifests from the moment you remove the cork. The full body of “Jean” offers unique hints of blackberry and pear with a crisp earthy, peppery Oregon finish. “Jean” is a limited production producing less than 200 bottles annually. “Jean” is available at a limited offering of only one bottle per mailing address.